I was trying to learn Hmong with not much success. I just didn’t get it. I tried person study, a tutor, Hmong friends translating for me. I ran across this program just browsing the internet for something to help me. It was very important for me to learn it. As I was looking, Learning Hmong popped up and I read all the information. Looked good, nothing to loose but a small amount of money if it didn’t work. I had already spend a lot of money buying books and dictionaries. Just trying the free lessons was enough to convince me to download the 1st lesson. I enrolled for the 1st course and now I get it. 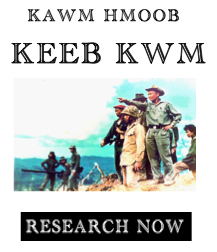 I quit trying to translate English into Hmong, that does not work. I started with a empty plate. Learning Hmong not worrying how to translate. It worked. For me, 73 years old, it was perfect. Starts from the beginning, the basics and increases the levels. I downloaded the audio and listen to it on an ipod. When I study, I have the sound and the material and I love it. It is a clear, understandable audio. I am impressed with the whole program because for me it works. I am learning Hmong finally. My best advise is go on line, try the free beginner lessons and you will see for yourself. I’ve been looking for something like this for a LONG time. A lot of my friends are Hmong and I want to be able to understand them. Thanks for taking the time to teach others Xou! Today I became a paid member and love it haha. If anybody is still deciding whether or not to get it, my opinion is that it’s GREAT. Keep giving great lessons like this please Xou. I hope you become really successful someday! Learning another language has been a recent goal of mine. I work with a lot of Hmong people at work, and I’ve grown to love them. They are very hard working and caring people. I have purchased several dictionaries and study tools. I am a very goal orientated person and I hope to learn and be able to speak Hmong within the next two months. I attended General Vang Pao’s funeral this past week in Fresno with a group of friends and I really enjoyed being there and I learned a lot. As a manager at my current job my goal is to get a better understanding of the culture and lifestyle of the people I work with, being that half the work force is Hmong. It’s nice to to see you guys are located in Sacramento, your program so far has been very beneficial, I would like to continue receiving any updates, and perhaps if you of any classes located near Sacramento where I can go to receive any further help learning to speak, read, and write Hmong. I’m very determined, and I hope to use this new skill which I will acquire to help out anyway i can. If your ever need of any volunteers, I would gladly like to participate to further increase my knowledge in your traditions. Do you have just fifteen minutes a day? If so, you can learn a lot with one of the lessons on HmongLessons.com! The key thing is dedication, and if you really want to learn Hmong, this is without a doubt the best way I have been able to find. Although I knew no Hmong and am still a beginner, I was curious about the language and culture because I have many friends who are Hmong, which I am fortunate to have met. If you live around California’s Central Valley, English, Spanish, and Hmong are languages that would be of great help and would let you meet more people and get to know their cultures better. I have been extremely satisfied with Mr. Xou Vang’s program and support- he even answers any questions you may have personally. I know that this is just a testimonial from a stranger, but if it helps, I am a senior at high school and I got a full scholarship to Stanford University. Just like any other person, my schedule can get busy, but I know that if I can fit in a lesson, I am making great use of my time. 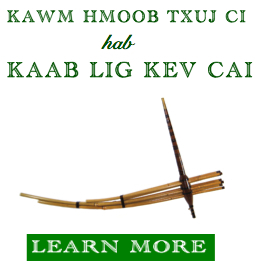 Thank you, Xou Vang, for your incredible program and site- I highly recommend it to anyone looking to learn a few new words or discover the entire Hmong language. Good luck on your ventures!